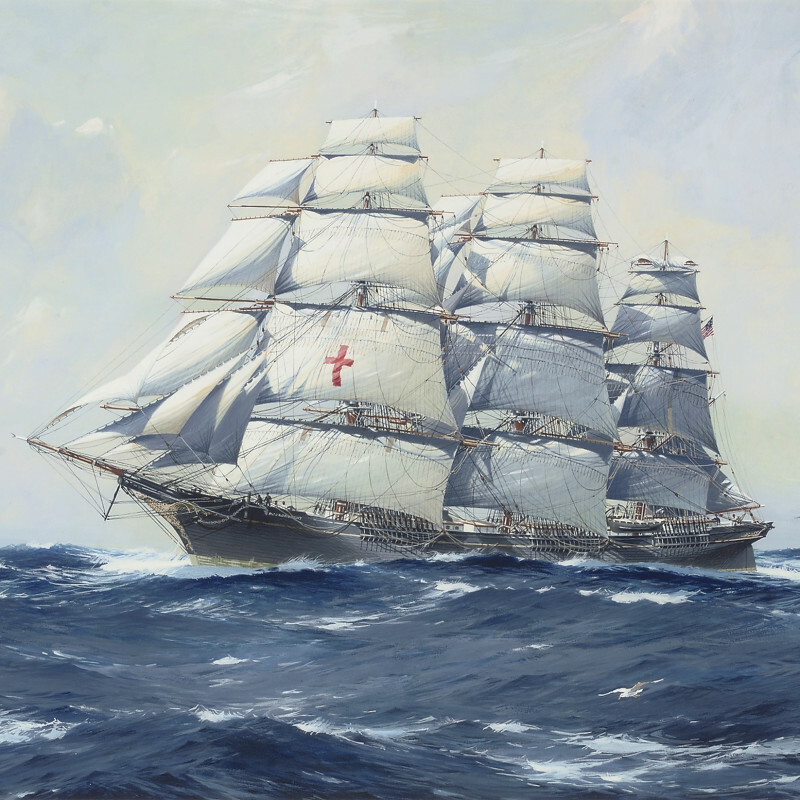 Jack Spurling was a specialist ship portraitist who rose to fame after attracting the attention of the Blue Peter nautical magazine, for which he illustrated the covers. Having been a sailor initially, he had a thorough understanding of how the sea should be painted, and his short acting career taught him the dramatical element of his work. Above all his reputation was established by the supreme accuracy and rendering of his ships. Many of his works are illustrated in the three volumes of Sail, The Romance of the Clipper Ships, considered to be the definitive record of commercial sailing ships. As a result of his wide popularity his work rarely comes onto the market. He is notable for having a strong influence on the work of Montague Dawson.